Show the world who wears the pants (well) in every situation!! 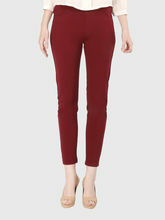 For a working woman, pants are the most comfortable wears. Infibeam presents a hefty collection of women trousers of different types. 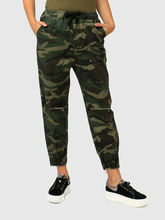 This showcase of trousers for women includes Capris, Cargos, Dhoti, Jeans, Palazzo Pants, Salwar/Patiala, and Trousers. Now dress up in style for any occasion; this women pants online store offers best materials like Blend, Cotton, Denim, Modal, Polyester, Rayon, Satin, Synthetic, Terry, and Viscose. This range of trousers showcases super fabulous pieces that blend thoughtful designs, clever craftsmanship and intricate detailing; all trousers are made for women of substance in India. With each piece comes loads of attitude and style complimentary. Check out best offers on another women's clothing.